Transitive dependencies are about the latter. 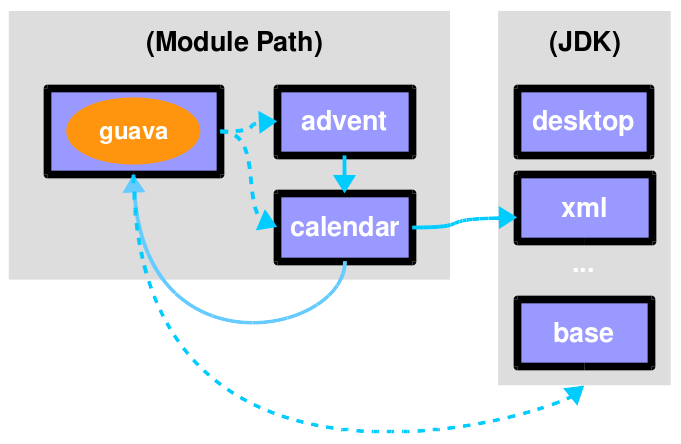 ⇝ Module calendar is unusable without surprise! Careful: Users suddenly depend on a large module! Optional dependencies are about the latter two. usability functions for various libraries. 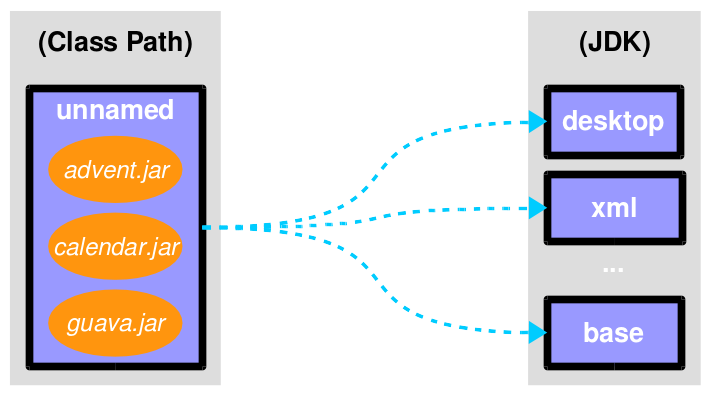 of an API should be decoupled. 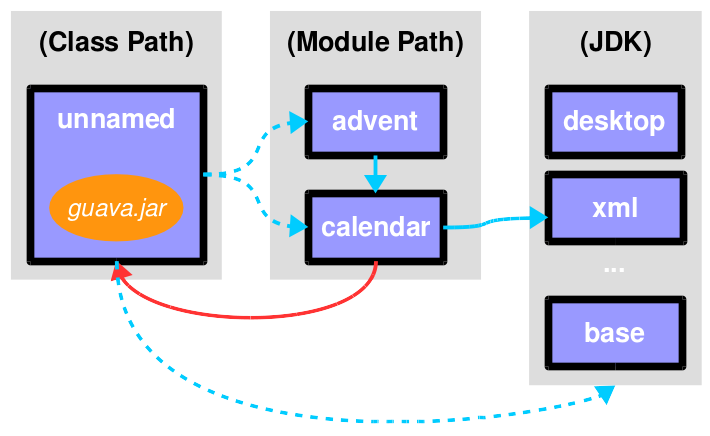 What if a set of modules wants to share code? Module system fixes the former. Use to share sensible code between modules. to be accessed via reflection? A qualified variant (opens to) exists. but for all of them! without making them public API. Command Line Arguments to the rescue! it might not make it into the module graph. 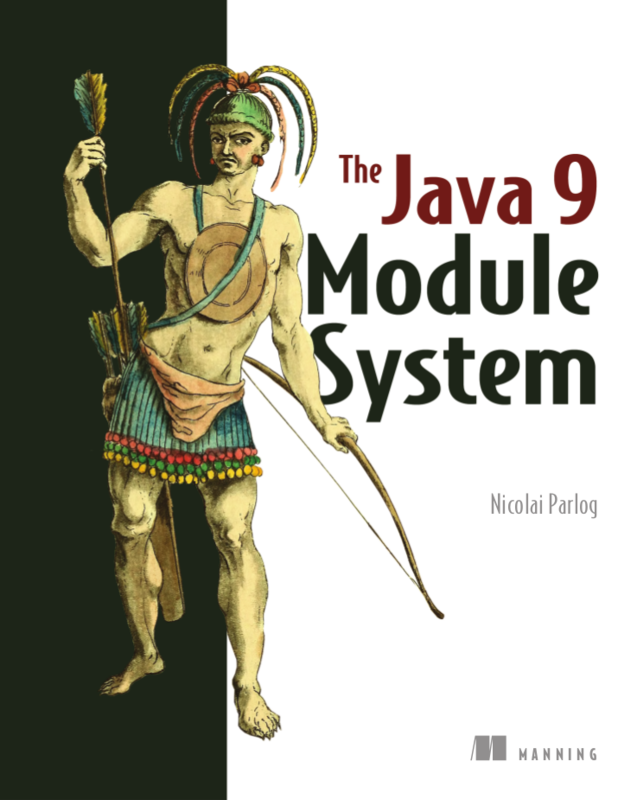 JavaEE modules are not resolved by default! They need to be added with --add-modules! by another but you need it to be. the owning module doesn’t export. Use target ALL-UNNAMED to export to all modules. the owning module doesn’t open. Use target ALL-UNNAMED to open to all modules. The latter two accept ALL-UNNAMED as target. "the chaos of the class path" lives on. ⇝ Such automatic module names are unstable. there is no way to launch that application! whose names are based on file names! whose names are based on manifest entry. currently mostly about Java 9.